Carols at Christmas time are a favourite, ringing in the festive spirit and bringing back fond childhood memories for many of us, and the Rotary's Carols on the Common at North Ryde is one such event returning for another year with a fun-filled evening for the whole family. 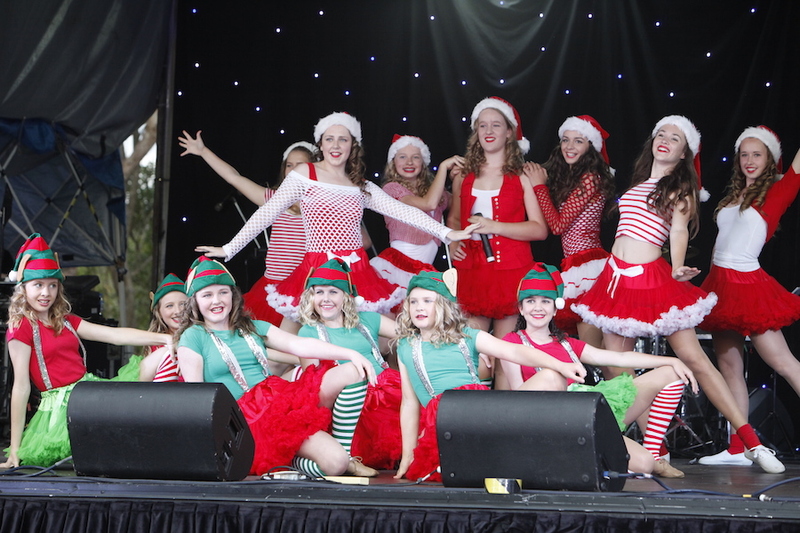 North Ryde Common is a huge park and the venue providing a festival vibe with lots of singing and dancing, amusements and activities, food trucks and fireworks, and Santa of course. 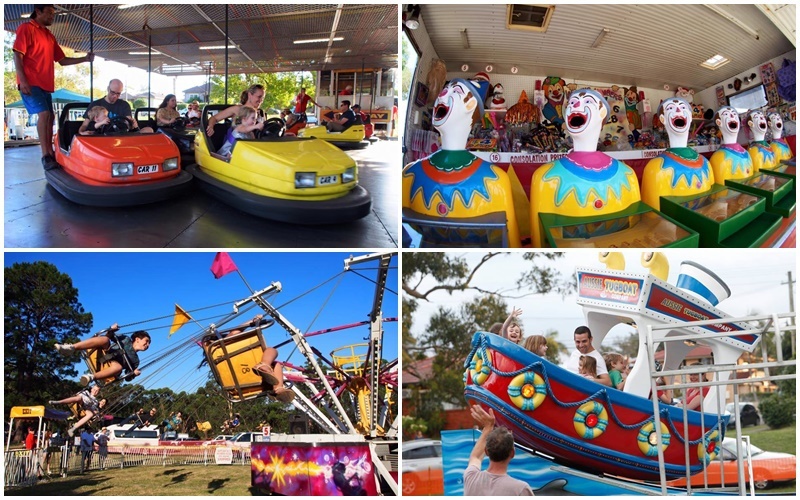 Kicking off from 5.00pm and running through the night are an assortment of carnival rides and sideshow games. There's dodgem cars to bump into, a giant slide, Simulator Cinema, Zoomer, Rocking Tug, Chair-O-Plane and Cups & Saucers rides for littlies with prizes to be won on the Laughing Clowns, Hi Striker and Lucky Numbers. Food vendors are on hand for dinner and snacks from beginning to end or you can BYO picnic. Onsite you'll find Mexican, Gozleme and Indian food amongst Dutch mini pancakes, fairy floss, twirly potatoes on a stick, ice cream and coffee. A charity BBQ will raise funds for worthy causes, one of which is ROMAC, an organisation that brings sick children from around the globe to Australia for life-changing surgeries. 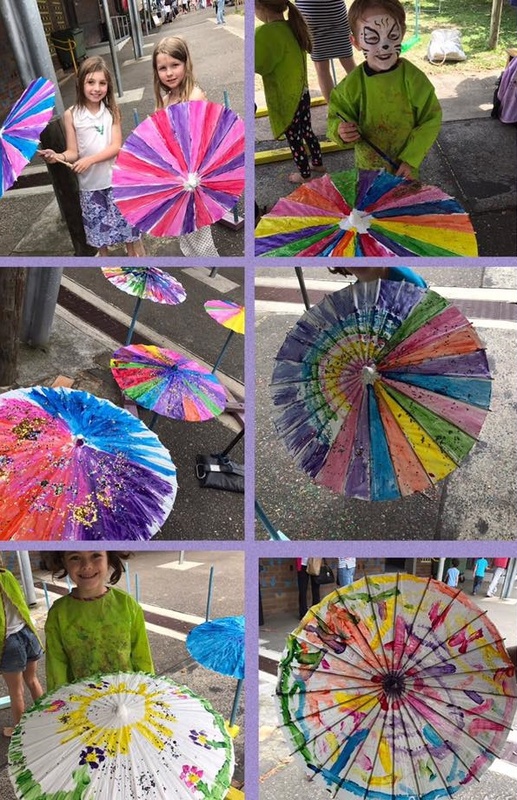 Apart from food stalls, there's face painting and a cute umbrella craft stall where children can paint and decorate finely crafted umbrellas with glitter. Live entertainment on stage begins at 5.30pm with the Royal Rehab Lifestyle Choir followed by the Ryde Special Olympic Dancers and StarsTV Sing Star Competitors, the latter being the performance of several young children from the local community that have previously won singing competitions. Santa makes an early appearance before further dancers take to the stage at 6.30pm. The Macquarie University Singers, known for performing Mozart and Puccini's works, will bring their musicality at 7pm. 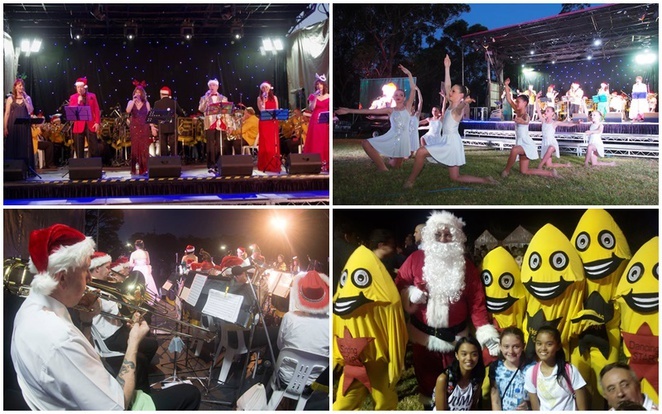 The main carols start at 8pm with singing coming from a number of talented locals, such as experienced musician and wedding singer Nata Forte, jazz man John Smolders and entertainer Roseanna Gallo. They, along with others, will be supported by The Leichhardt Celebrity Brass Band and the Macquarie Performing Arts Dancers. Santa will appear again on stage just before 9pm before he flys off to prepare for Christmas. A 15 minute fireworks display will then light up the sky, concluding this evening of fun. This is a free event with amenities and parking available right on site in exchange for a gold coin donation. Additional parking can be found in neighbouring streets. So come all ye faithful for a merry night on the green.